What you should you know about scammers is that they do exist. There is no point in saying that there are no Jump4love scams because every online dating site can be “attacked” by a scammer. Due to the specifics of the dating sites, which lie in the indirect contact between their users, some dishonest people decide to turn it to their advantage. You can never be 100% sure about person’s intentions, especially if you keep a long-distance relationship and have never seen each other offline. Of course, there are gold-diggers that skillfully seduce men and coax them out of their money without resorting to dating sites. So, scammers can be called the virtual gold-diggers. While a real-life gold-digger is necessarily a woman, an online scammer can be either woman or man because they hide behind the fake profiles they create themselves. No matter how reliable the online dating site is, it can’t be totally protected from dating scam. It’s impossible to check the identity of every user simply because dating sites are not marriage agencies where people must provide their documents and only then be added to the database. However, this is not the reason for refusing to use online dating sites. They are extremely popular today due to their convenience and possibilities they offer. Moreover, online dating scams are quite easy to recognize since scammers resort to similar schemes and act in a quite suspicious way. Some of them reveal their true intentions, which are expressed in requesting money, shortly after contacting a man, while some of them wait until a man falls for them deeply. In order to avoid any type of Jump4love scam, watch out for the following signs. Initiative. Of course, it’s not a crime or an excuse for doubts if a girl writes first. Even shy girls feel more confident online, so they can gather their courage and contact the man they like without waiting for him to make the first move. If you get a letter from a girl, you should pay attention to it. If it sounds impersonal or as if automatically generated, be cautious. Endless questions. You should get even more alert if after the initial contact a girl starts bombarding you with questions and those questions are aimed at figuring out your financial status. If she mainly asks questions but omits to answer yours, she is checking whether she can get something from you. Blank profile. Although scammers pay attention to detail and try to create plausible profiles, some of them include only scarce information. And this is what gives them away because women that truly want to find a partner on a dating site carefully fill in their profiles. Hasty declaration of love. The first task of a scammer is to dull your vigilance. For this, she’ll flatter you, make compliments, and praise. Once she realizes she managed to melt your heart, she’ll declare her love to you saying you’re the one she’s been looking for. Complaints. She’ll necessarily mention how hard life in her country is. She’ll try to evoke sympathy in you so that you’ll want to help her when she asks for financial help. Money requests. If your online date asks you to send her money, this is a surefire sign that she is a scammer. It’s difficult to imagine a woman who would request something from the man she hardly knows. So, how can you avoid swallowing the bait of a scammer? The main rule here is to be cautious. Scammers know men’s psychology and they realize that men become generous if they really fall for a woman. Disillusionment is quite painful, so the earlier you understand that you deal with a scammer, the better. When a man is in love, he doesn’t notice many things. That is why keep your head no matter what. Rule number two says you should never send money to the woman you met online if she asks for it. She might say she needs it to pay for translator/plane ticket/visa expenses. An adequate woman would never do it. You should also know that scammers steer away from personal contacts. She will find excuses not to communicate via video calls. If you keep requesting, she’ll soon disappear having guessed that you suspect her. 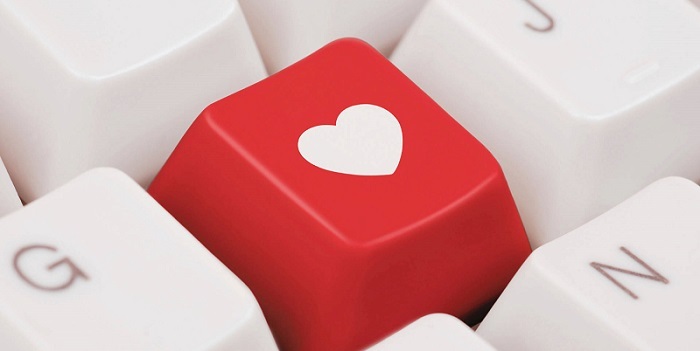 Watch out for red flags, stay alerted and you’ll avoid all possible dating site scams. In case you detect a scammer, report her to the site support.